Dr. Polanco is originally from Austin, TX. He attended Baylor University in Waco, TX and received a degree in English literature and Pre-Medicine. After watching his mother care for patients as a Physical Therapist, he knew that he wanted to be a physician. After college, while living in Boston, MA he conducted research under Dr. Jack Ansell, editor of the prestigious New England Journal of Medicine and he continued to study classes under an advanced degree in Medical Sciences at Boston University. These experiences encouraged him to enroll and to graduate from Boston University School of Medicine. He completed his residency through the Scripps Family Practice Residency Program and is Board Certified in Family Medicine. 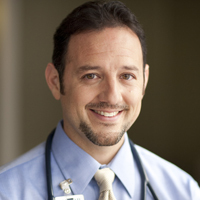 Dr. Polanco chose Family Medicine because he enjoys taking care of all patient age groups. He also likes the flexibility and variety of his family medicine practice. At present, he is the Chairman of the Department of Family Medicine at Sharp Memorial Chula Vista Hospital and he is also a Community Faculty Member through UC San Diego Medical School where he mentors medical students. He lives in Chula Vista with his wife and children. His interests include Adolescent Medicine, Sports Medicine, and Geriatrics. Dr. Polanco is a native of Southern California. Born in El Centro, CA and residing most of her life in San Diego County, she pursued college in Northern California and received a Bachelor of Arts Degree from UC Santa Cruz in Biology. While attending the Boston University School of Medicine Dr. Polanco decided to become a Family Medicine physician. Never forgetting her community, her family, or her personal experiences, she dedicated her studies to specialize in Family Medicine because she recognizes the role family plays in our health and in our lives. After medical school, Dr. Leticia Polanco completed her residency in Family Medicine through the Scripps Family Practice Residency Program in Chula Vista, CA and is Board Certified in Family Medicine. 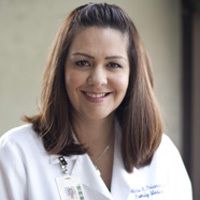 Dr. Leticia Polanco has held the position of Chairman of the Department of Family Medicine at Scripps Memorial Chula Vista Hospital and is the Chairman of the Utilization Committee at Sharp Memorial Chula Vista Hospital. In addition, she is a Community Faculty through UC San Diego Medical School where she mentors medical students. Dr. Leticia Polanco lives in Chula Vista with her family. Her interests include Adolescent Medicine, Women’s Health and being a mother and spouse. 1 Press the button next to the Doctor you want the appointment with. 2 Follow the instructions on the screen and choose an available date. 3 Be ready for your appointment with a device that has a camera and internet connection. Don’t take our word for it. See what others say about our service. Our action speak louder than our words.